See scan - perfect condition. This is a nice and scarce modern Russian Federation Space medal for Space Exploration Merit. The medal was issued by the Russian government with a State decree and was awarded to those who served and show extreme merit and achievemts at the Plesetsk Space Rocket Center. Tis is the military / Army Space center of the Russians. Scarce militaria / military collector piece and one of the rare modern Russian medals. 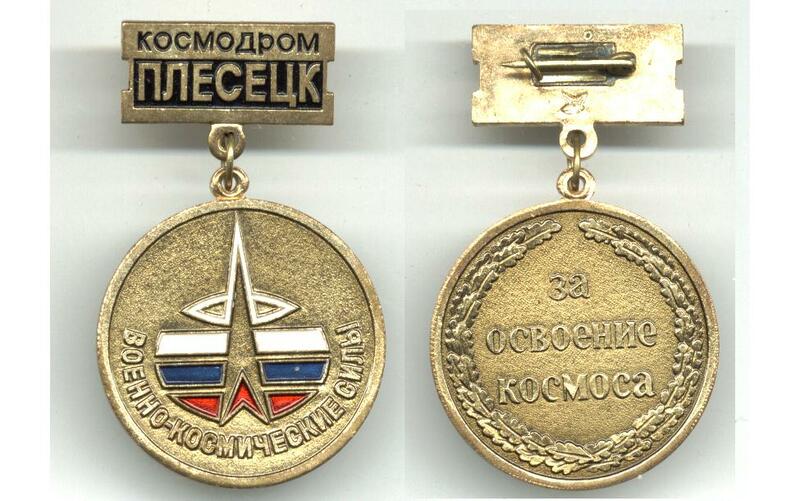 Obverse has a stylized rocket and the Russian national flag colors with text underneath Military Space Forces and above is a special hook with the text Spaceport Plesetsk. Reverse has the text FOR SPACE DEVELOPMENT. Nice and rare piece.